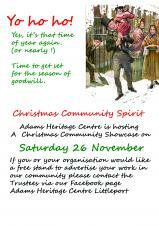 Saturday 26th November 2016 - Christmas Community Showcase event being staged at The Adams Heritage Centre. For more information please see poster. The draft Minutes of the Full Parish Council meeting which took place on Monday 18th July 2016 are now published. There is now an e-newsletter for the market. This will list the dates and traders on a month-by-month basis, and highlight local producers. 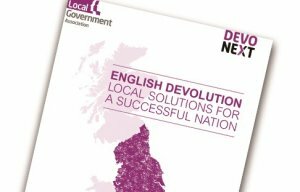 East Cambridgeshire District Council is consulting with residents on the government's proposals for a new Cambridgeshire and Peterborough devolution deal that would see powers and funding devolved from central government to the Cambridgeshire and Peterborough area. 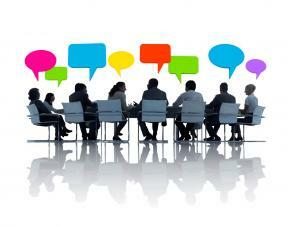 The Village Hall Committee are in need of a volunteer Minute Secretary. Please see attached poster. The draft Minutes of the Open Spaces Committee which took place on Wednesday 13th July 2016 are now published. The Agenda for the meeting of the full Council on Monday 18th July 2016 is now published. Don't forget that East Cambs are holding their electrical reuse and recycling event at the Leisure Centre on Saturday, 9th July from 10am to 3pm. The Open Spaces Committee will be meeting on Wednesday 13th July 2016 commencing at 7pm at The Barn. The Committee will be visiting the Allotments on Back Lane to chose the recipient of this year's Allotment of the Year award. 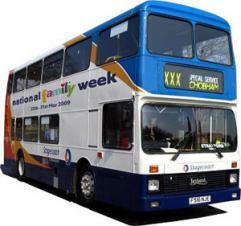 Some alterations to Stagecoach and Whippet Bus Services - please see attached document for further information. HTML5 validated. WCAG compliant. Page generated in 0.1207 seconds.